The Holy Happenings series consisting of six books covers all the major themes that run through the Bible. The titles are: Ballistic Beginnings, Hotchpotch Hebrews, Magnificent Moses, Catastrophic Kings, Super Son, and Hyper Holy Happenings. The Holy Happenings series is packed with facts, jokes, cartoons, and thought-provoking questions. 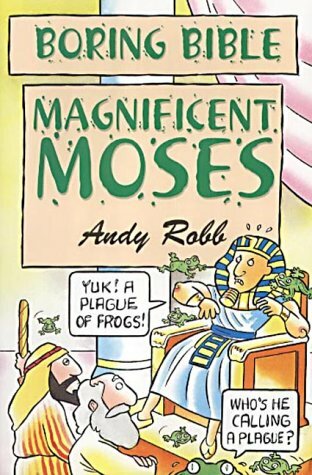 Preteens will be encouraged to turn to the Bible to find out more about some of the characters they meet in these pages. Click here for more information about Tweens curriculum. For updated information and fun for your Tweens, visit us online at www.tweenslive.com. 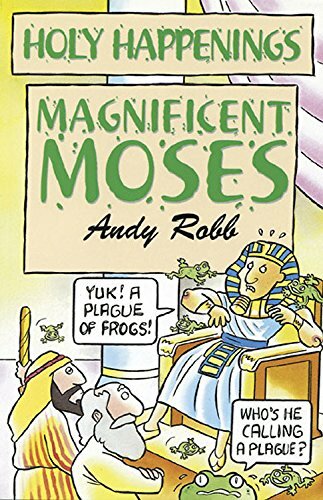 Andy Robb writes and illustrates for both the religious and secular markets and works on TV-related merchandising in Great Britain. He is a drummer in a worship/praise band at his church.